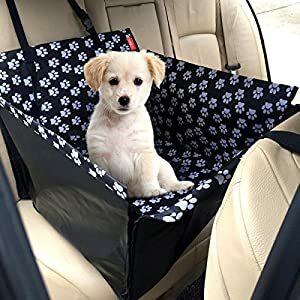 HEAVY-DUTY PREMIUM QUALITY – The Travelling Pet Premium Car Seat Cover is made from high quality, hard-wearing and durable 600D oxford fabric, with tough non-slip rubber backing and strong stitching. 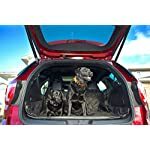 EASY TO FIT – Using adjustable quick release clips which attach around the headrests, the cover can be fitted in a couple of minutes. 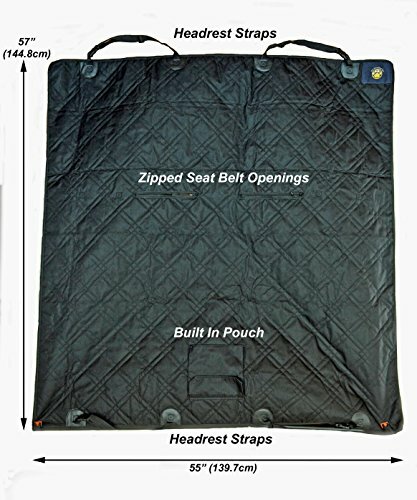 Seat anchors slide down the back of the car seat to hold the cover in place, and the rubber backing will stop it slipping. 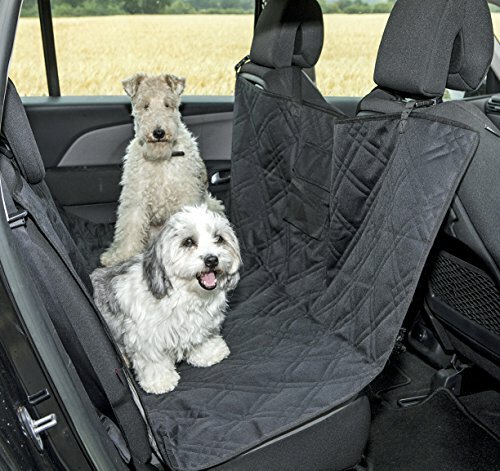 WATERPROOF AND SCRATCH RESISTANT – The cover will keep your seats clean and provides excellent protection. 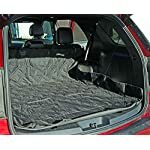 Easy to clean, wipe, vacuum and dry as well as being machine-washable. 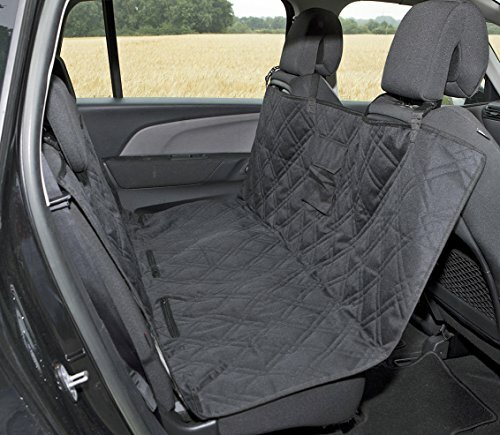 Made from double strength 600D oxford fabric and double stitching to provide a durable and hardwearing seat cover. 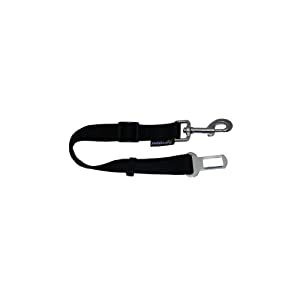 Rubber dots provide a non-slip backing made from strong 190T polyester. 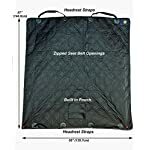 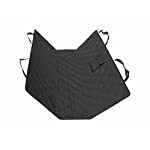 Designed to be used either as a hammock by attaching to both front and rear headrests, or as a rear bench seat cover when attached to the rear headrests. 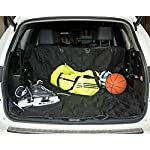 Additionally, the cover can be used a boot liner. 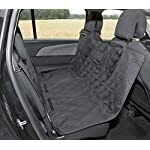 The cover can be left in place, as two twin-zipped openings enable seat belts to be used as normal, thereby providing excellent protection for your rear seat. 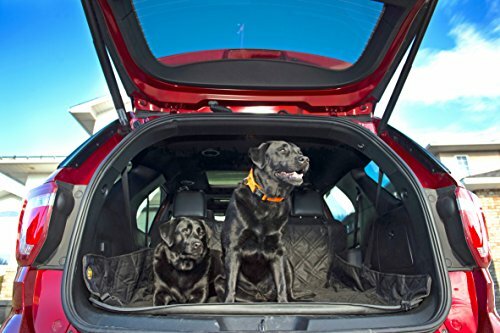 It’s hard-wearing and waterproof design also make it ideal as a general-purpose boot liner. 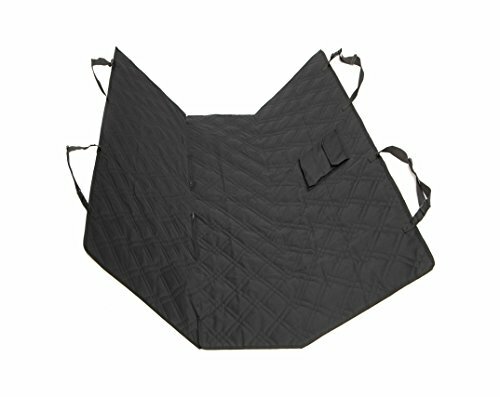 Features a handy built-in pocket for storage of pet toys, leads water bottle etc. 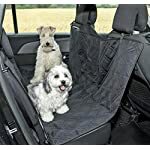 The dog seat belt is a comfortable and adjustable belt that simply connects to a seat belt lock, so you can keep your dog secure and safe while travelling. 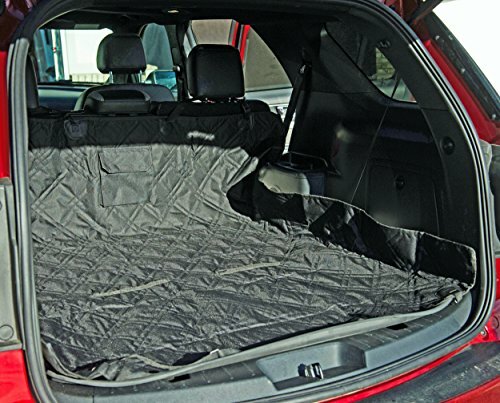 VERSATILE – The cover can be used as either a hammock, bench seat cover or boot liner. 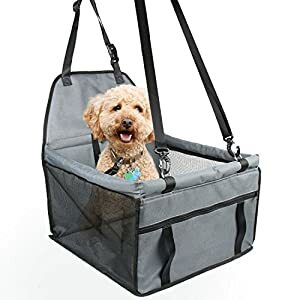 Suitable and comfortable for small, medium and large pets. 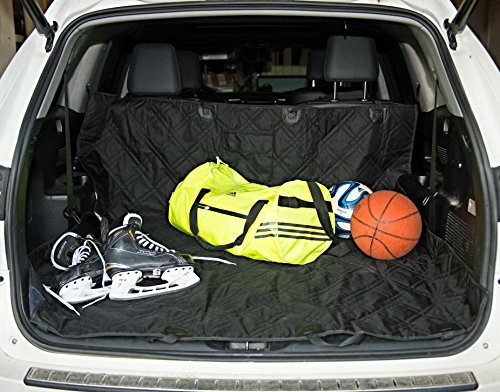 Universal fit – 145 cm length x 140 cm width to fit most cars, SUVs and Trucks. 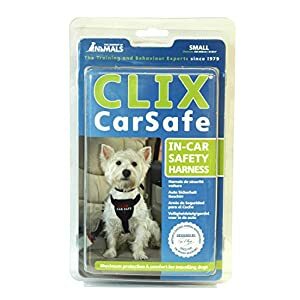 KEEP YOUR PET SAFE – The hammock keeps your pet safe while the padded and quilted material provides a comfortable environment in your vehicle.